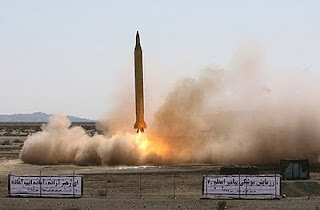 Iran has done a successful experiment of upgraded Haag Missile on morning of Wednesday. Its an surface-to-air missile whose experiment was done after Upgradation. According to report of Press TV the Experiment was done close to an Iranian Nuclear site Khondab on Wednesday where Iranian Army Generals where also present. Iran is working to increase its Military Power from sometime and recently it also announced to do some major changes in the army for this purpose. Experiment of this Missile was also a part of efforts to increase Military Power of Iranian Army. In recent weeks Iran has also made its own Drones and new naval cruise missile system. Israel and US are worried about Increasing Military Power of Iran specially its Nuclear program.